I returned home from Houston to this. Three of my malibou lights were destroyed. I wonder why they do this? This entry was posted in Interesting on December 31, 2007 by Mark. Believe it or not, it is a candy dispenser. Penguin poop! This entry was posted in Interesting on December 25, 2007 by Mark. And what do you know, here are some sugar cookies to the rescue. I was a little worried during the baking. Because, when I heated up the Dulce de Leche in the microwave, it bubbled all over the place. But it was rather refined in the oven. This entry was posted in Cooking on December 25, 2007 by Mark. So soon after making caramel, I am off trying out another version. Why so quickly? It was this recipe which inspired me. And also just how easy the preparation was. Above is the result. Although, if I could take that picture over again, I would have somehow raised the spoon to show off more of the texture. It just blends in with the mixture too much right now. You start off by heating a quart (four cups) of milk and a cup of sugar in a pot with large sides until it moderately simmers. Why use large side, you ask? It is because boiling milk will bubble over. And also, because when you add 1/2 teaspoon of baking soda dissolved in water to the milk it will seriously bubble up! Now a classical recipe of Dulce de Leche is just milk and sugar. So why then is baking soda added? Because Alton Brown explains that it prevents the whey proteins from coagulating and forming gritty particles. It will also increase the acidity of the mixture and promote browning. All you have to do after stirring down the bubbling mixture from the baking soda is to wait. And wait. And wait. The liquid will reduce and darken. And it is up to you just how dark and how reduced you will let the liquid become. I went for “jelly like” and overshot into “peanut butter” consistency. I think this calls for some shortbread cookies to spread it on! This entry was posted in Cooking on December 23, 2007 by Mark. Wow. It is amazing how much progress has been made on certain computer fronts. I came across this article about serving your media files with Amazon’s S3 service and decided to take the plunge. I have been reading a lot of good things about S3. Like how you can treat it as a remote backup location. Like how SmugMug uses it under the covers to store their data. And now this article. Apparently you can store any file and S3 will just serve it up. And it really was easy. Well almost. Signing up for the service is a snap. I used S3Fox to transfer my images over. My first problem was realizing that the default ACL was that only you could read (or write) the file. So I had to change all of the ACLs such that everyone could at least read the files. But I don’t think that S3Fox is designed for as many files as I had. I had 1920 files and only the first 1000 had the correct ACLs. I finally got frustrated enough to write a Python script to change the ACLs of any file that did not have public access. Then I had to add a new subdomain that would resolve to S3 domain. That was very easy with zoneedit.com! I love zoneedit. And its a free service if you are a relatively unknown person like myself. Next up was changing over 700 entries in Movable Type. I had to change all img’s and href’s to the new location. Fortunately, MT has a global search and replace feature! And it worked for 90% of the entries. I had to fix a couple after MT borked them. So tell me if you notice anything different. Or broken. This entry was posted in Interesting on December 22, 2007 by Mark. 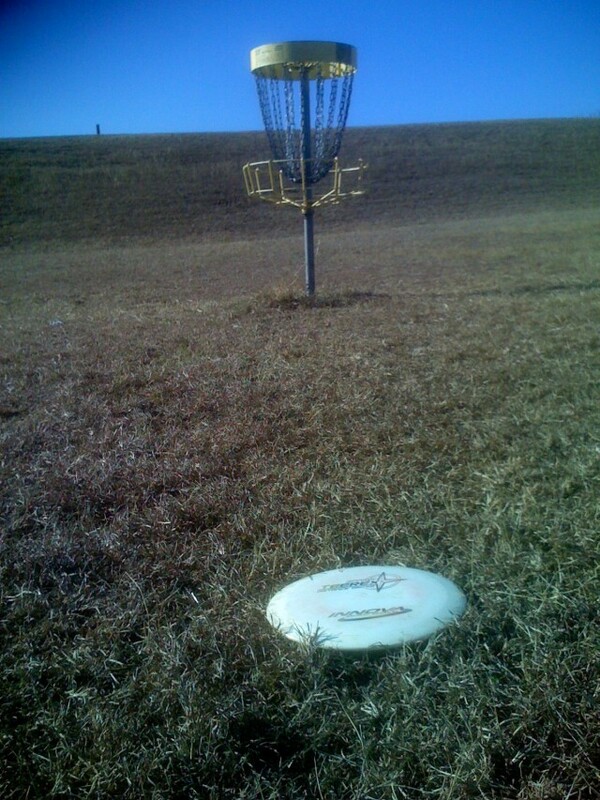 I had a good practice throw on hole 3. Close enough for a birdie. The wind was brutal today! And the discs performed strangely, if they flew on target at all. How odd. 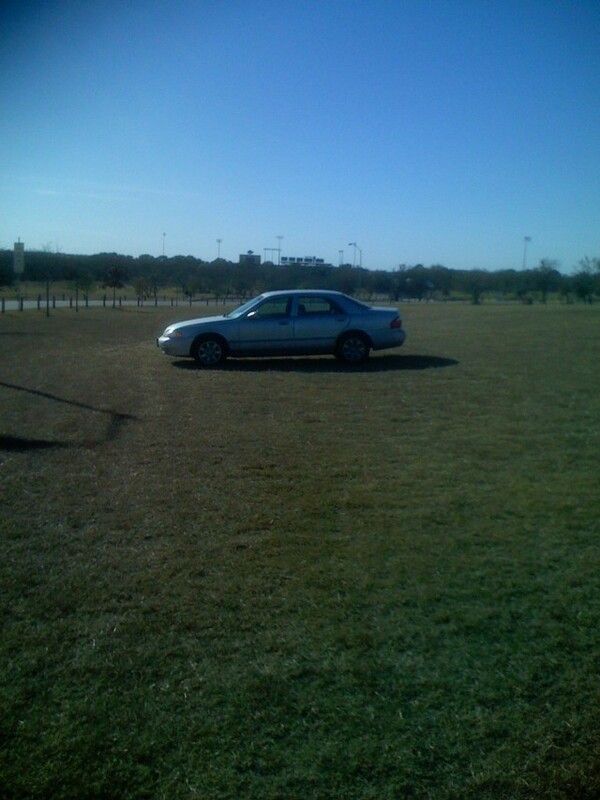 Someone parked their car in the middle of the field. I wonder why? 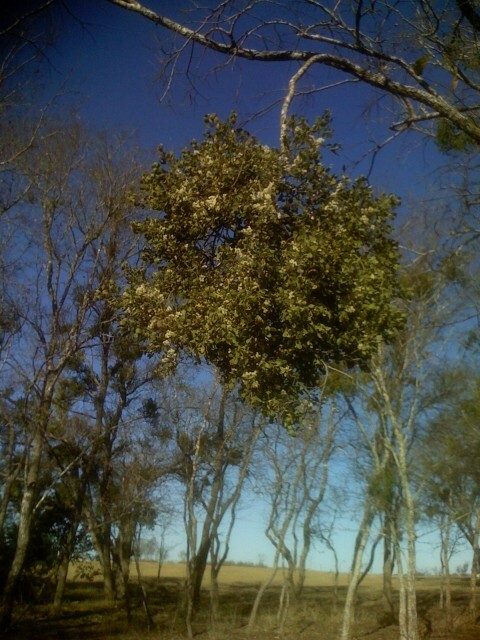 This ball of Mistletoe is quite heavy! It is almost going to rip that branch down. 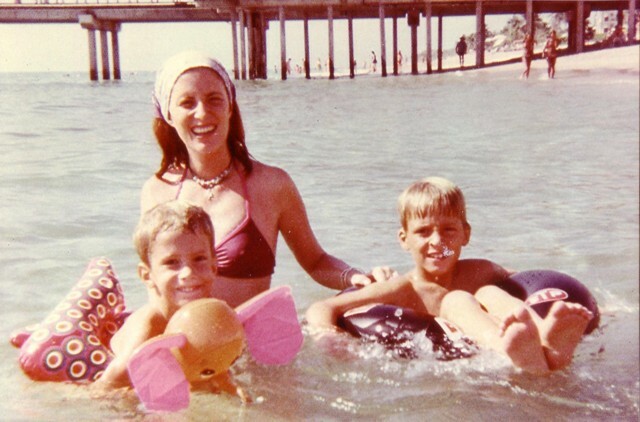 John and I maintained our separate ways around that obstacle. 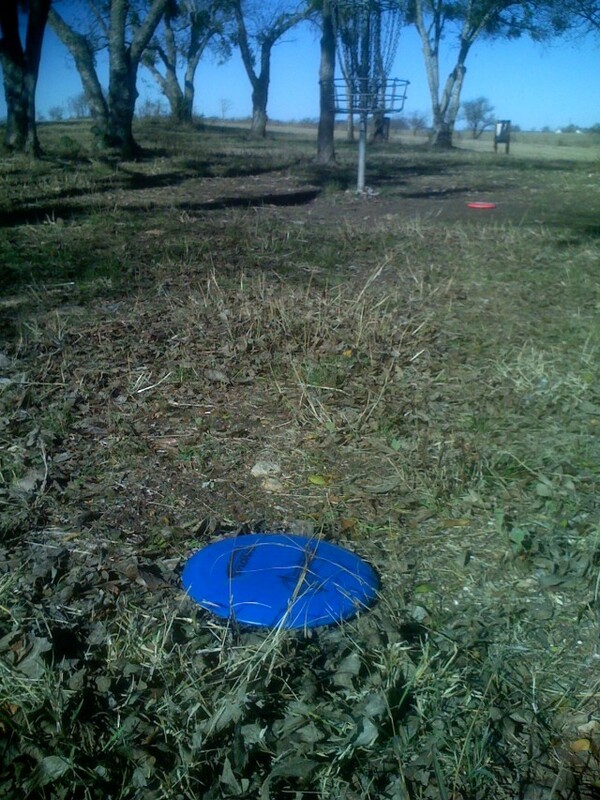 On hole 8, I had a great throw! But could not convert it into a birdie. 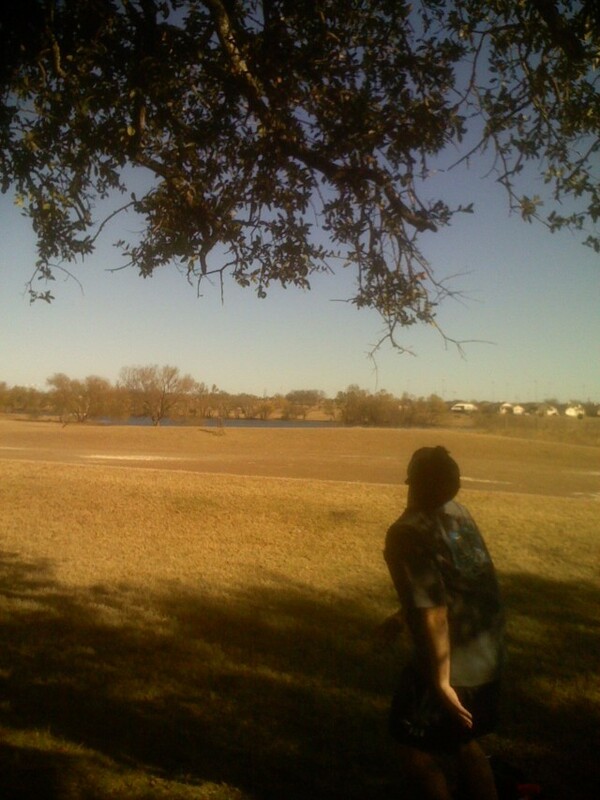 This entry was posted in Disc Golf on December 22, 2007 by Mark. While we waited for the rest of the crew to show up, we played Bunte Runde. Knizia’s lightweight (but still meaty) filler game. In fact some of the players were taking a while to make their moves. Which made it a little less enjoyable than it could have been. Hrm, five people… what shall we play with five people. With many, many games to choose from, we chose Caylus. Which had not seen the table in quite some time. This game was rather unique. (Aren’t they all in their own special way?) The resources were smothered in this game. It started off with stone. And it continued for all of the other one resource tiles. Until they all disappeared. Another factor in this problem was that only one two resource tile was built. This made building pieces in the castle rather scarce. Next up was another game that we have rarely played. In fact, I have only played it once over six years ago. Its not a bad game if you like blind area majority games. To finish out the night, we played another game of Tichu. My first Tichu was a little risky when I called it. And when Nick over Tichued me, I was worried. But I went out first. My next Tichu was a over Tichu to Nick’s. With two aces, a Dragon, a bomb, and a length 5 straight, it was not a hard choice to make. Towards the end, the opposing team got desperate. And then the final hand happened. We only need 10 points for the win. So John was very careful. Careful enough not to call Tichu with an Ace bomb and the Dragon. This entry was posted in Gaming on December 20, 2007 by Mark. 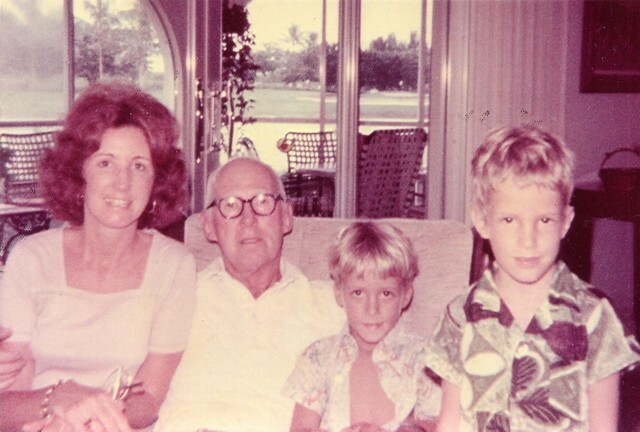 My Aunt sent me some old photos in her Christmas card. 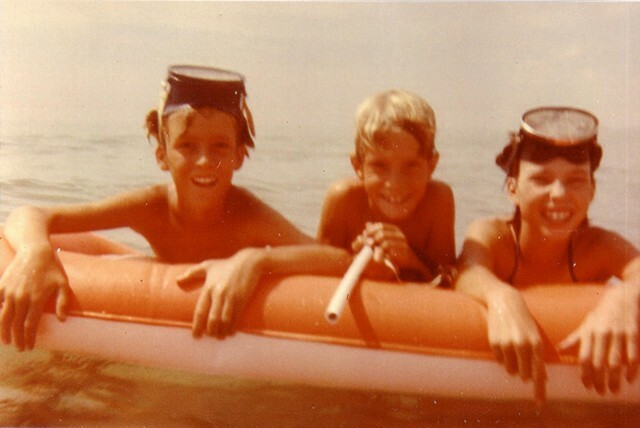 Old memories make for a great present. This entry was posted in Interesting on December 20, 2007 by Mark. This entry was posted in Web links on December 20, 2007 by Links.